NEW YORK, New York, September 13, 2010 (ENS) – World leaders, bankers, executives and celebrities are engaged in an all-out push for accelerated progress towards the Millenium Development Goals – to slash poverty and hunger, improve health and education, and ensure environmental sustainability by 2015. The eight interlinked goals were agreed by world leaders in the year 2000 to usher in the new millenium. With only five years left until the 2015 deadline, UN Secretary-General Ban Ki-moon has invited world leaders to attend a summit at the United Nations General Assembly in New York on September 20-22 to take stock and accelerate progress towards achieving the goals. The World Bank Group today announced billons of dollars in new funding for agriculture, health, and education to help countries achieve their goals by the global target date. In a new report released today ahead of the summit, the World Bank said developing countries were making progress in overcoming poverty until the food, fuel, and financial crises of the past several years. “As we take stock of the MDGs so far, we see the crises only made things worse, with too many of the world’s people hungry, poor, or vulnerable to poverty, with too few jobs and too little access to services and economic opportunity,” said World Bank Group President Robert Zoellick. Zoellick said that given rising food prices and the possible return of the food crisis, the World Bank Group will boost support to agriculture to some $8.3 billion a year, up from $4.1 billion annually before 2008, under its Agriculture Action Plan. To help countries achieve the MDG of universal education, the World Bank will increase its zero-interest and grant investment in basic education by an additional $750 million, with a focus on the countries that are not on track to reach the education MDGs by 2015, especially in Sub-Saharan Africa. Investing more than $600 million in health, the World Bank will focus on 35 countries, particularly in East Asia, South Asia, and Sub-Saharan Africa, which face challenges in achieving their MDGs because of high fertility and poor child and maternal nutrition and disease. The World Bank report, “Unfinished Business: Mobilizing New Efforts to Achieve the 2015 Millennium Development Goals,” finds that of the 84 developing countries with available data, 45 have already achieved or are on schedule to meet the poverty reduction target; compounded by the impact of recent crises, the rest are off-track. 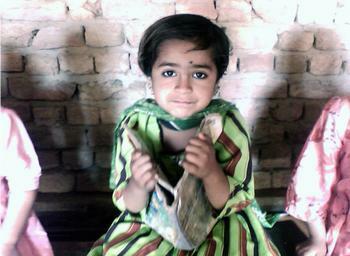 In 1981, 52 percent of people in developing countries lived in extreme poverty, the report states. By 2005, that share had fallen to 25 percent, with poverty falling sharply in East Asia, Latin America, and Eastern and Central Europe. But Sub-Saharan Africa continues to lag in overcoming poverty. Hunger and malnutrition rates have been falling, but progress on meeting the MDG of halving the proportion of hungry people was almost completely reversed in 2008 with the spike in food prices. The World Bank now estimates that as a result of the food, fuel and financial crises, 64 million more people are living in extreme poverty in 2010, and some 40 million more people went hungry last year. By 2015, 1.2 million more children under five may die, and about 100 million more people may remain without access to safe water, the bank said in its report. Under the MDG of environmental sustainability, one target is to halve the proportion of the population without sustainable access to safe drinking water and basic sanitation. Some progress towards improved water and sanitation has been made, the World Bank report shows. More than 113 million people now have access to an improved water source; close to 500,000 improved community water points have been constructed or rehabilitated; 5.8 million people have been provided with access to almost 600,000 improved sanitation facilities; and 164 water utilities have been supported, according to the report. 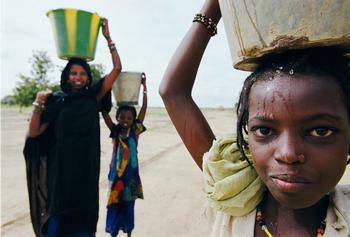 At the 2010 World Water Week in Stockholm Friday, participants urged the High Level Plenary Meeting on the Millennium Development Goals to fully recognize and act upon the fundamental roles of water resources, drinking water, sanitation and water for all. “Water has definitely not yet received the place it needs to have in the draft outcome of that summit. Good management of water resources and provision of drinking water and sanitation is a prerequisite for fulfilling all the MDGs,” said Anders Berntell, executive director of the Stockholm International Water Institute. According to the 2010 Stockholm Statement, water is at the core of achieving all of the Millenium Development Goals. The statement concludes that sanitation and water are not just targets or sectors. They are the fundamental basis for life and indispensable to sustainable economic and social development. Celebrities such as musicians Annie Lenox and Angelique Kidjo and actor Antonio Banderas are mobilizing support for achieving the goals. 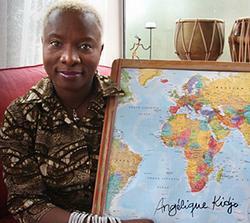 Kidjo is one of eight of Africa’s best known musical talents singing in support of a UN campaign in South Africa to encourage commitment to the achievement of the eight Millennium Development Goals. One for each goal, the artists came from across the continent to record 8 goals for Africa last April in Cape Town. In New York City on September 20, iMashable, 92nd Street Y and the UN Foundation are gathering leaders from the digital industry, policy and media worlds for the first Social Good Summit focused on how technology and social networks can play a leading role in accomplishing the goals. One of the few public events being held during UN Week, the Social Good Summit is about solutions. Speakers will explain how digital media and innovative ideas can combine to achieve the Millennium Development Goals. Participants include Chris Hughes, co-founder of Facebook and founder of Jumo, a startup beginning this fall that aims to link millions of individuals to organizations working to change the world. One participant is Ted Turner, chairman of Turner Enterprises, Inc., former vice chairman of Time Warner Inc., founder of CNN, an environmentalist and a philanthropist who created the UN Foundation 1998. Speakers will participate in person and via Skype video calls and the conference will be streamed live.